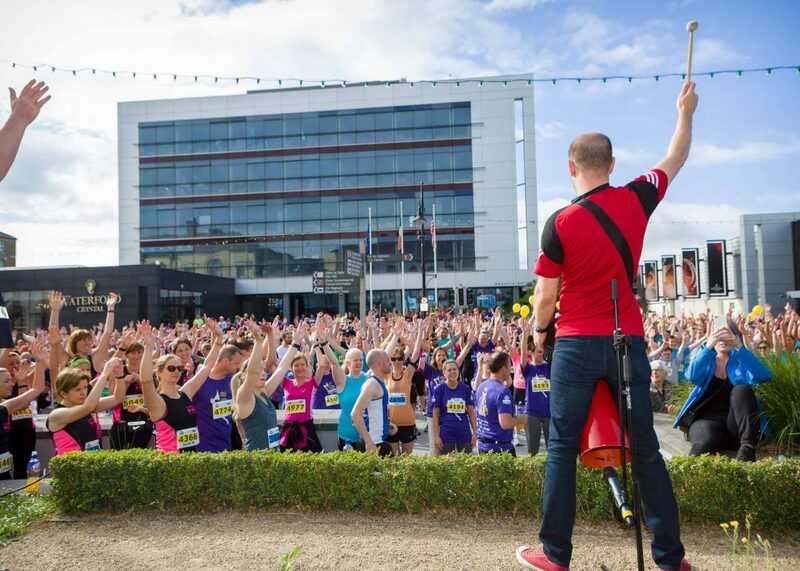 Over 3,000 overall are expected to compete in the big road race of the year in Waterford the WLRFM Viking Marathon, Half Marathon and Quarter Marathon in the city on Saturday next starting at City Hall at 9am sharp and finishing at the WIT Arena in Carriganore. Athletes will take in the Rice Bridge and Suir Bridge and a lot of the countryside out near Mt Congreve and full map of courses are on the event website and there will be traffic delays and restrictions in some areas and road closures. Lots of music and hype around the routes and again it promises to be a memorable event. We wish all competing the very best and we welcome all visitors from around the country and from abroad and also thank those involved for months on a major logistical undertaking. All those running are asked to obey the stewards at all areas around the route and the public are asked to support the runners all over the course. Continuing his preparation for the European Championships Olympian Thomas Barr runs in a 400 metres hurdles race in Slovakia on Saturday. Tullamore is the venue on Saturday next for the Irish life Health All Ireland Junior and Under 23 Championships and Waterford clubs will be well represented and a number of athletes are fancied to be in the shake up. First event 10.30am. Another fixture in Tullamore on Sunday will be the National Juvenile Games u 9 to u 11 and u 12 and u13 field events as well as the juvenile inter club relays and again Waterford will be represented there ,first events 10 am for field and 11 am for track. On Saturday last in an International meeting in Nivelles in Belgium Niamh Whelan Ferrybank had two very good results. She finished second in the 100 metres final in 11.76 seconds and fourth in the 200 metres in 24.23. On Sunday in Leeds Kate Veale had a very good performance at the British 20 Km Race Walking Championship ,in a huge field she finished fifth overall in a personal best time of 1 hr 42 minutes 45 seconds,beating her previous best by over two minutes.